The South American carrier’s cargo business is severely hit by currency fluctuations devaluating Brazil’s real against the US dollar. Also, the weakening of the euro hasn’t helped the airline to reach its financial targets set for 2015. On top of these non influential factors comes the stagnation of Brazil’s economy, LAN Cargo’s prime market. The carrier is combating these rather negative factors by taking appropriate countermeasures like capacity alignments and for instance the introduction of a new product range. Under normal conditions Guido Henke should be very pleased. 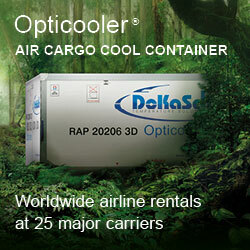 “Measured in euro we are above budget this year,” states LAN Cargo’s Director Europe. However, the bad news is that converted into US dollars his European business is 16 percent below expectation. Since LAN Cargo’s entire activities are based on the U.S. currency, Henke and his team will have no alternative but to readjust their 2015 financial goals. And if that weren’t challenge enough, a second plague is bothering him: the ongoing weakness of Brazil’s economy shown in air freight by a 20 percent decline of throughput at Viracopos, the country’s largest cargo airport. “Brazil is by far our most important market in general and specifically for European exports,” Guido states, pointing at the paramount status of Latin America’s largest economy for the entire sub-continent. “In Brazil, we expect economic growth returning only in 2017,” says the manager. So it’s a difficult period LAN Cargo is currently facing, caused by external factors that no carrier can really beat. Maybe not beat, but by taking adequate steps to make the situation more bearable. This, the entire LATAM Group of Airlines has started initiating. 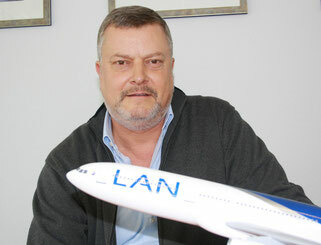 For instance, by integrating the entire fleet of its Brazilian member airline TAM into the LATAM Holding. Before, TAM’s aircraft were registered in Brazil with a book value based on the national currency, the real. To avoid the impact by the massive devaluation of the real against the US dollar the value of the fleet valued in real was reduced drastically. Maybe a salutary shock that caused the airline’s management to integrate TAM’s fleet into the LATAM Holding whose entire business is based on the U.S. currency. Hence, even a further fall of the real against the dollar will affect the group’s financial situation only marginally in future. 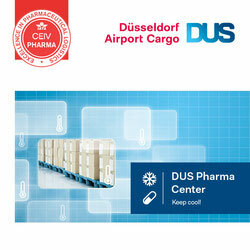 Another step taken by the carrier is an alignment of transport capacity offered to the market. Explains manager Henke: “We reduced frequencies of domestic Brazilian passenger flights and reallocated some aircraft.” He goes on to say that this alignment of capacity and frequencies takes pressure off the air fares and prevents prices of going even further south. Guido announces that more steps are to follow to stabilize the business and bring the carrier hopefully back on the road of success. Another initiative LAN Cargo has launched a couple of weeks ago (CargoForwarder Global reported) is the ‘Cargo Rewards’ project. 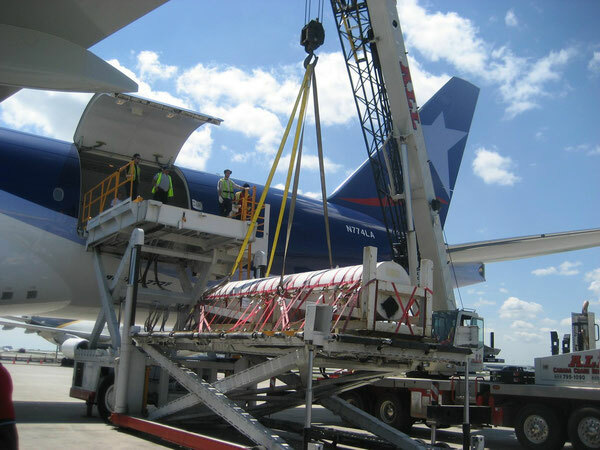 It enables forwarding agents to convert every ton of air freight handed over and transported on international routes by the group members LAN Cargo, TAM Cargo, LAN Cargo Colombia and Mas Air into credits for travel. “The first customer reactions have been very encouraging,” Guido says. Turning to the upcoming winter schedule he announces new passenger flights to Barcelona by operating an Airbus A330 thrice weekly. There are already concrete plans to increase these frequencies to daily in the near future, he indicates. This adds 8 tons transport capacity per flight to the existing lower deck capacity of 650 tons offered weekly by LAN’s passenger fleet on routes between Europe and South America. Complemented by 540 tons of main deck capacity contributed by Boeing 777Fs, LAN Cargo offers the market space for carrying almost 1.200 tons on routes across the South Atlantic each week. Changes have also been made in the cargo carrier’s GSA strategy with a tendency to terminate cooperation with partnering sales agents and manage sales activities in-house instead. This was done in France lately, where LAN Cargo’s Paris office took over sales responsibilities from former partner Air Cargo Trader.